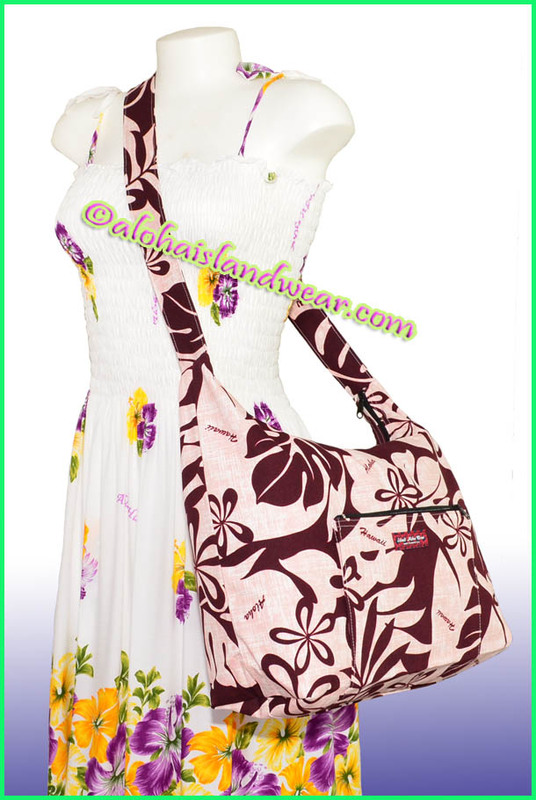 This is a large size Hawaiian print cross-body shoulder bag, it's designed with a single layer main compartment with top zipper for closure, one front pocket with zipper, a durable long strap with matched pattern print, great bag for carrying large items, traveling, shipping, schooling or as gift for someone. - Strap drop 22" length. 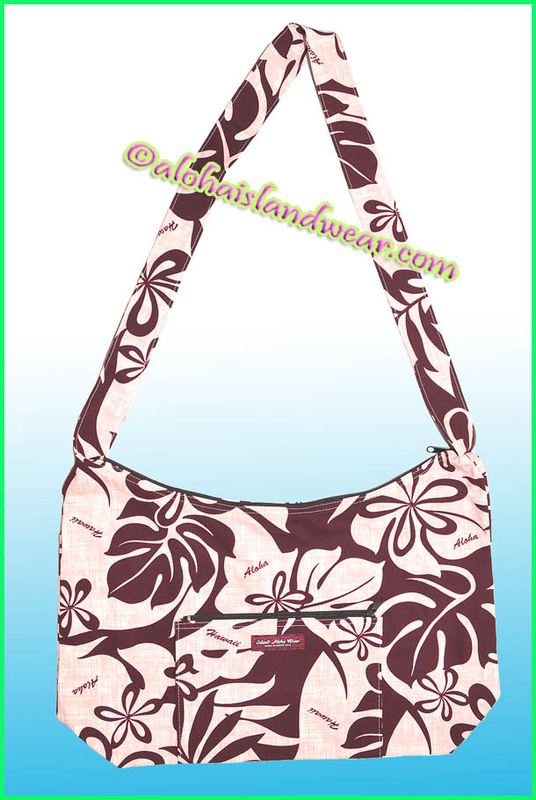 - Main zipper opening measured: 16"
- Exterior pocket: 8" X 7"